significant change and improvements to their global enterprise. Mario Perez-Wilson disclosing a tailored Variation Reduction Initiative (Statistically Based Quality System) to the Executive leadership of Multek (Flextronics). This quality initiative is specifically customized to your company's needs. 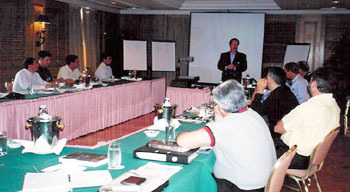 It is a turnkey program that encompasses the entire organization. 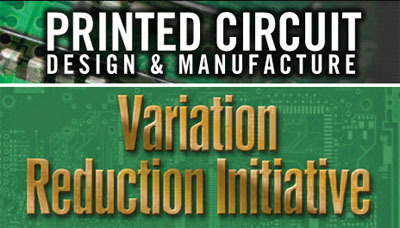 The successful implementation of VRI at Multek, the PCB Group of Flextronics, is described in the article "Multek's Variation Reduction Initiative", published in the October and November 2003 issues of Printed Circuit Design and Manufacture. We create a deployment plan for your organization, orchestrate the efforts and make it happen. We create a plan for your organization, orchestrate the efforts and make it happen.